ANKARA: Eight Turkish soldiers have been killed and a further 13 wounded in an attack by Kurdish fighters in the North-Western Syrian enclave of Afrin on Thursday, announced the Turkish Army. 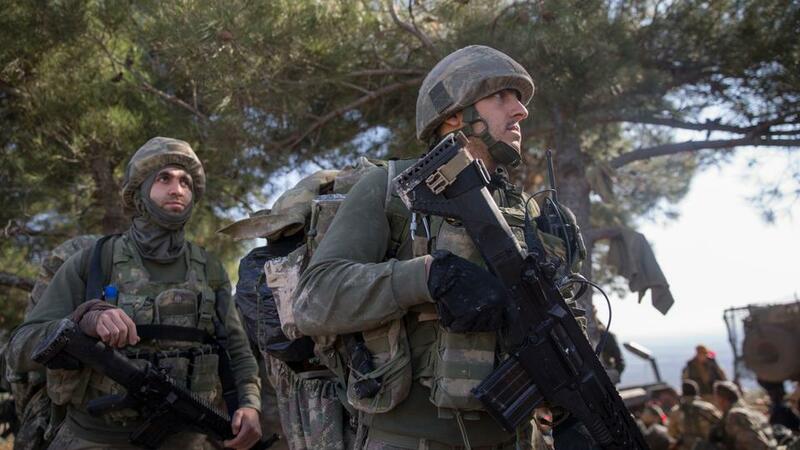 The attack reportedly happened in the Keltepe district as Kurdish fighters ambushed Turkish special forces by emerging from a tunnel, and a rescue helicopter sent to evacuate the wounded had to return after it was hit as well, reported a private news media outlet in Turkey. No official details of the latest clash have been given. Turkey launched an offensive into Afrin in January 2018 against the People’s Protection Units (YPG) which it considers a militant arm of the Kurdistan Workers’ Party (PKK). PKK has fought for independence in South-Eastern Turkey since 1978 but the YPG has denied any links to the group. Ah. How terrible. People fall to Satan’s temptations so easily. Why ? Scarcity of Islaam among the people calling themselves Muslims. How can any Muslim fall into Satan’s trap because everyone who is a Muslim obeys no one but the Lord.